This gets to the dry chapped places and rescues them back to life. I live for this during the winter in the Northeast. It’s Sunday, and of course time for another product review! Finding travel size items to work with your beauty routine on vacation can be difficult. I did a lot of searching before my trip to Tucson this week for the best products. 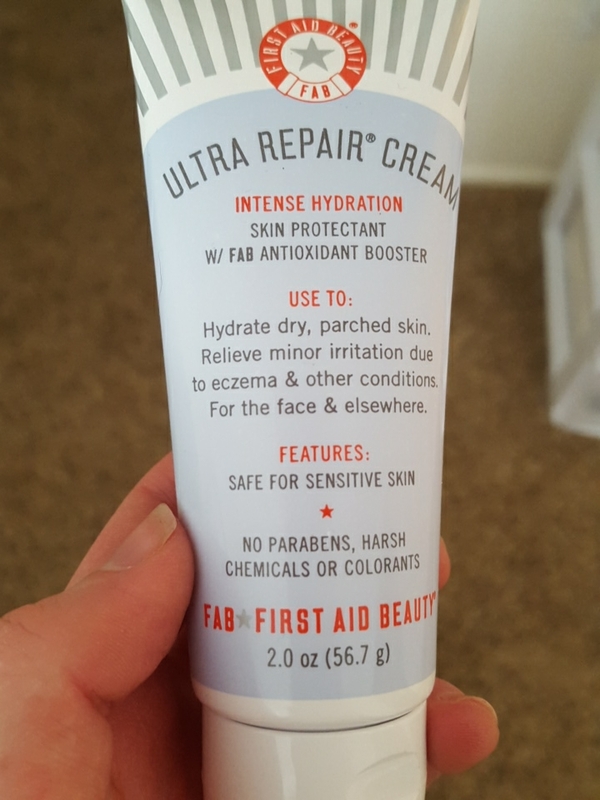 The hardest to find was a moisturizer, but I finally landed on First Aid Beauty. I’ve heard some good things about this brand, so I decided to try their face cream. First of all, I didn’t know it was meant for very dry skin. I have normal to dry but not super dry skin. But for a dry place like Arizona, this moisturizer is just what I needed! It’s a very creamy formula, so a little goes a long way. Having said that, for those of you beauties with dry skin, definitely apply this guy twice a day. Your skin will seriously thank you!